Getec Industrial’s CNC machining for aluminum services is a critical component contributing to Getec being a complete one-stop-shop for turnkey aluminum manufacturing. Getec Industrial uses the latest CAD/CAM software to program our 85+ CNC milling machines at 12 CNC turning centers to produce superior quality results. But the latest technology and equipment is not enough, CNC machining takes skill, creativity and problem-solving abilities. From designing tool paths and machining strategies, to operating and monitoring the cutting, machining is the work of Getec’s experienced CNC craftsmen. In addition, Getec is RoHS compliant, and has earned its ISO 9001:2015 certification, which means that we have passed a meticulous audit of our processes and our commitment to continuous improvement for our products and dedication to customer service. Our state-of-the-art Coordinate Measuring Machine (CMM) and optical comparator provides another check to make sure that the measurements for your products are precise. When you combine the latest technology, our proven, ISO 9001:2015 certified processes and our experienced, dedicated precision CNC machining experts you get highest quality products at a lower cost as well as some of the fastest lead times in the industry. With Getec’s over 30 years of experience, we are the industry leaders for precision CNC machining services. Contact us at 888-999-8499, email us at sales@getecna.com or complete our simple online contact form for a quote or consultation about your product and application. CNC machining is a mature technology that has been proven itself to be dependable for many manufacturing needs. 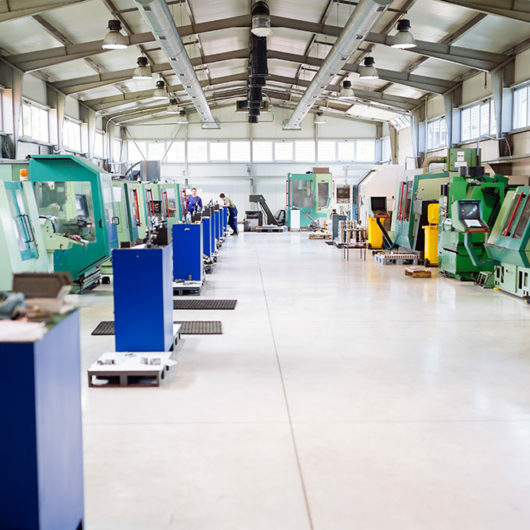 Although different CNC machines are equipped to handle different types of tasks, there are several benefits that remain consistent. Once the CNC machines have been set up properly, the machines can produce repeatable, accurate, consistent products without much human intervention to run the machines. What does this mean to you? Whether you are producing one part for a custom application, or multiple production runs of a single part, the setup cost is the same. Products can be stored as patterns or programs within the CNC machine, that reduces manufacturing turn-around times and allows rapid shipment of existing products. Finished product can be machined quickly and shipped quickly for “just in time” product requirements. Higher quality products because the CNC operators spend less time running the machine and more time inspecting and measuring the products. CNC machines can run non-stop during a production run, producing a reliable and consistent quality of product. Once the CNC machine has been programmed correctly, it can produce dozens, even thousands, of identical parts precisely and consistently. Allows CNC machine operators to focus on other, higher level tasks such as designing patterns and programs for new products and providing constant in process inspection to ensure that the fabricated parts meet the drawing specifications. CNC machine operators are held to ISO-9001:2015 standards which assures consistent repeatable machined parts when compared to machinists producing work using conventional machining tools and processes. 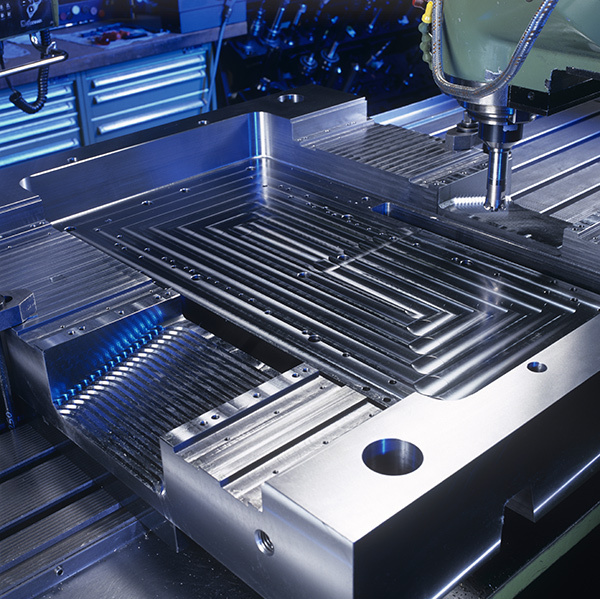 Today’s CNC machines provide almost limitless flexibility. Because these machines run from programs, producing a part is almost as easy as loading a program. Once a program has been executed and verified for a production run, it can be reloaded at any time in the future to produce identical results for all future production runs. Changing a product for or making a change to an existing production run is simple because most of the work is done by the program. This creates fast production setup and turnaround, requirements that are essential for “just-in-time” products. 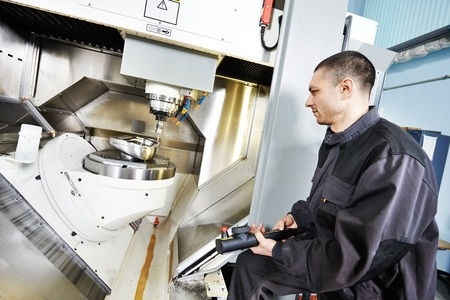 Ready to Reap the Rewards of Precision CNC Machining Services? Just give us a call at 888-999-8499, email us at sales@getecna.com or complete our simple online contact form to speak to a precision CNC machining services expert today.